Looking for lime ice cream recipe? 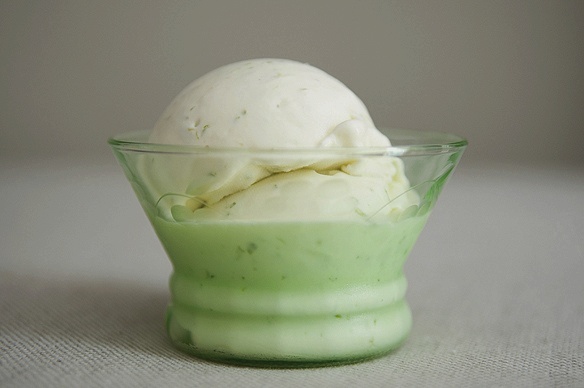 Try this easy recipe for Lime Ice Cream which is traditional cooked custard method. It tastes like key lime pie in ice cream form. You ganna love this velvety smooth ice cream. Give it a try. Delicious and simple to make. Combine milk and sugar in a saucepan and cook over medium heat until sugar is dissolved . Add lime peel. Beat egg yolk and make sure to temper to the milk and add the cream, lime juice and heat until it starts to become custard. Let sit in the fridge overnight and then add it to the ice cream machine. Freeze in an ice cream freezer according to manufacturer’s directions.